South Korea has actively promoted its agricultural products in overseas markets over the past few years by holding K-food fairs in Southeast Asia and elsewhere. The Ministry of Agriculture, Food and Rural Affairs is encouraging “steady” outbound shipments of farming products. The growing volume of farm product exports to destinations such as Vietnam and China drew public attention last year and gave local farmers reason to feel hopeful. 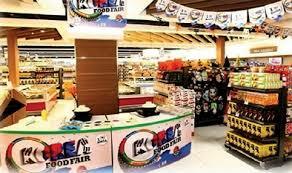 This year, K-food fairs are scheduled in seven cities. The first is slated for April 9-12 in Shanghai, the second for June 20-21 in Paris and the third for July 9-10 in Los Angeles. More fairs are planned for Indonesia in July, Japan and Thailand in September, and Vietnam in October. About 250 agriculture-oriented companies are likely to participate in the 2019 K-food fairs, according to the Korea Agro-Fisheries & Food Trade Corp. Nonetheless, data show that Korea has yet to resolve its chronic trade deficit in farm products. Exports of Korean farm products, including livestock products, posted 7.4 trillion won ($6.6 billion) last year. At the same time, imports for the same sector reached $35.2 billion, up 9.4 percent from a year earlier. The data indicate that exports consistently amount to less than 20 percent of imports, a critical trade imbalance. It’s worth noting that about 85 percent of inbound shipments of farm products came from countries that have free trade agreements with Korea. Of the $35.2 billion worth of imports, FTA partners accounted for $30.3 billion and this figure represented an increase of 11 percent on-year, according to the Korea Rural Economic Institute. Korea increased its farm product imports from the US, China, Canada, New Zealand, the Association of Southeast Asian Nations and the European Union. The US topped the list in terms of inbound shipments with $9.3 billion worth, followed by China with $4.6 billion, the EU with 4.5 billion and Australia with $2.5 billion. KREI data showed that livestock products led the massive import figures. Chicken imports reached 132,000 tons, up 24.6 percent from the previous year, trailed by pork with an increase of 16.6 percent and beef with 9.6 percent. Imports of grapes and kiwis grew 17 percent, while cherries recorded a 2.3 percent increase. Over the past 15 years in Korea, 15 FTAs with 52 nations have taken effect. Commerce exports have generally benefited as a result, but there are ongoing concerns that local agriculture is suffering under FTAs with economic powerhouses and major trade blocs. He predicted that the damage would escalate in the coming years, as tariffs on imported farm products are set to be lowered further under the FTAs and the number of items subject to zero tariffs is set to increase. Some say the price drop for farm products is due to oversupply, the inevitable result of declining consumption. But local agriculture employees point out that imports worth 3 trillion to 4 trillion won per annum are bound to have an impact. Recently, the Trade Ministry has asked other ministries, including the Agriculture Ministry, to map out measures to reinvigorate the nation’s exports amid the lackluster exports, which fell for the third consecutive month in February. When it comes to farm product exports, Korea has faced hurdles such as protectionism on the part of economic superpowers despite the bilateral trade pacts. The National Assembly Research Service issued a warning about the trade deficit in the farming industry in a recent report. The National Assembly unit in Yeouido, Seoul, cited the steady trade deficit with the US in the area of farm products. Noting that the deficit had begun in 2011, it said livestock product imports from the world’s largest economy had grown sharply between the years 2012 and 2016. “Inbound shipments (from the US) surpassed exports by 361.4 times in that period,” the report said.